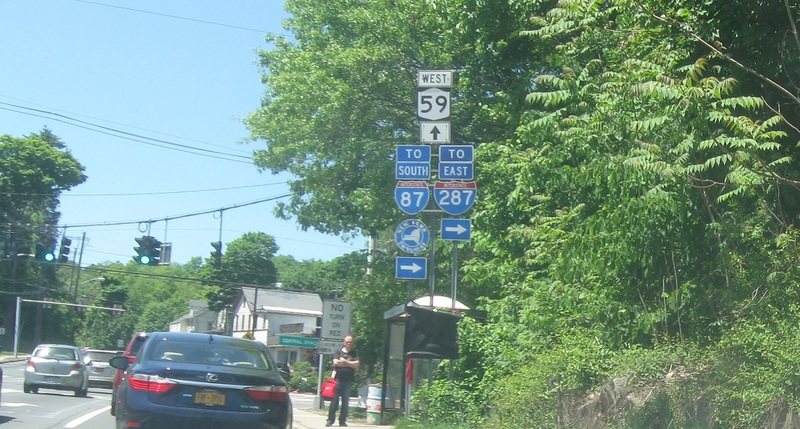 As Route 59 begins, we’ll approach a local road connection to the Thruway. 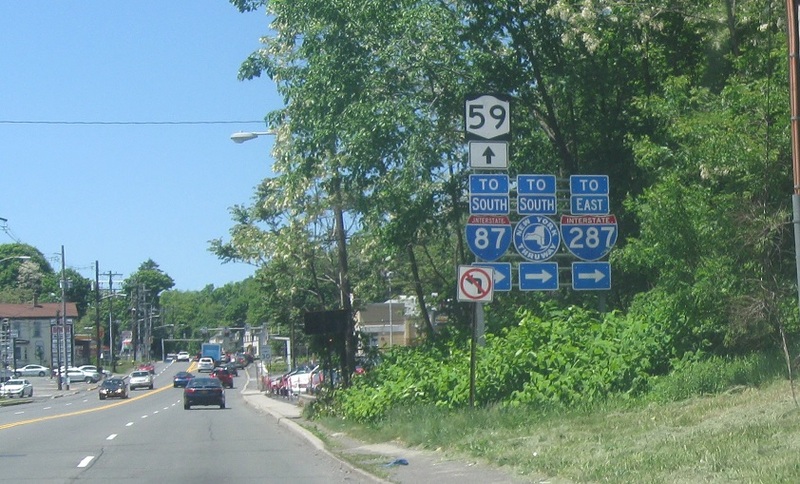 Turn right to follow Pothemus St to the northbound Thruway and westbound I-287. 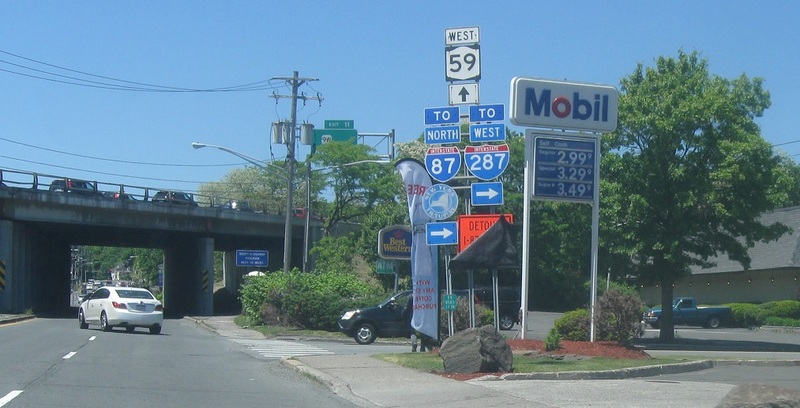 A couple blocks later, we’ll connect with the southbound Thruway. 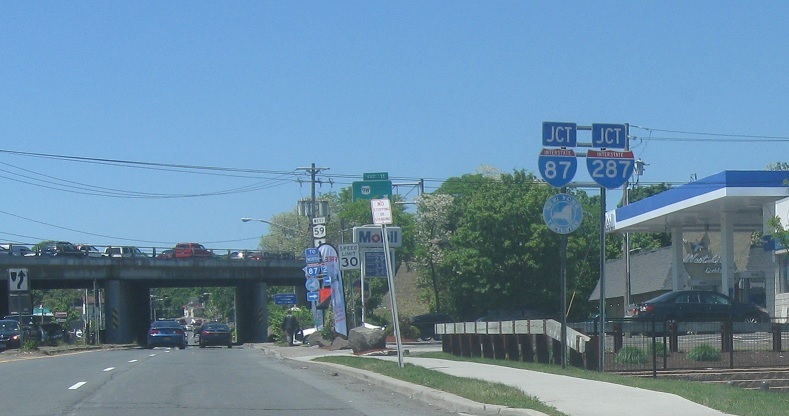 Turn right for I-87 south/I-287 east.